This year more than 3,000 delegates from across the world will make their way to the Betting on Sports Week to join the international betting and gaming trade conferences. 6,300 sqm exhibition and conference area will include 140 exhibitors, networking areas, meeting rooms, and of course refreshments, lunch and networking drinks. Great opportunity to experience new products on display and generate new business opportunities. Tuesday 17 September we have pre-registration and networking drinks at Hilton Olympia, the official conference hotel. Wednesday 18 September we will have a drinks reception in the exhibition area from, followed by the official party from 20:00 to 02:00 at Altitude London. 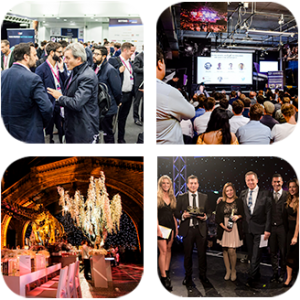 Thursday 19 September we have the Hall of Fame awards evening and networking party at one of London’s most iconic venues, the Natural History Museum. Over 250 delegates will make their way to the inaugural CasinoBeats Summit, which is taking place over two days and brings together a wide range of stakeholders to discuss some of the key challenges facing the global online casino sector. Topics to be addressed and debated include innovation in slots and live casino, new markets, legislative updates, promotions and bonusing, gender equality in gaming and so much more. The SBC Sponsorship Forum is an invite-only forum for Sports Clubs, Football Clubs & Sporting Organisations and Bookmakers / Gaming Brands to discuss and explore opportunities around sports sponsorship. The event is organised by SBC Events, and hosted by former Chief Commercial Officer of AC Milan, Jaap Kalma. Why Sports Clubs Should Attend? Why Betting / Gaming Brands Should Attend? The Sports Betting Hall of Fame has been curated in order to recognise the individuals who have contributed a great deal to the industry over the course of their careers with a lasting legacy. The purpose of the Hall of Fame is to honour, preserve and perpetuate the names and outstanding accomplishments of personalities who have brought lasting fame to the sports betting sector. logo/sbc (white) Created with Sketch.